Visibility/Location: This event is located at an amusement park on a major highway, so finding the event was not difficult at all. There are signs and a hearse that can be seen from the highway and the property is lit up, as well. Immediately upon arrival, parking guides met us at the entrance and led us to our parking spot. The entrance to the event cannot be missed, mostly due to the gigantic flame throwers that are set up and fired off randomly just next to the ticket booth. Wait Entertainment: Outside, we met a twisted, syringe happy doctor that interacted with and freaked out the crowd. While in the waiting area, there was a deranged character creeping, climbing and racing towards patrons to get in their comfort zones. There was another twisted doctor interacting with people near the entrance. All of these characters did a spectacular job staying in character and setting the tone for the rest of the event. A soundtrack featuring the musical talents of some of my favorites; such as Marilyn Manson, Nine Inch Nails and Slipknot, was playing quite loudly in the waiting area. I wouldn�t have minded chilling in the waiting area a little bit longer just for the ear candy alone. Crowd Control: A large group of people was sent out of the waiting area at one time for the introduction and rules. From that point, smaller groups were split up. We were the first group admitted into the haunt and we did not run into any other groups at all while in the attraction. After our tickets were purchased, we were led into an outdoor waiting area that was mostly covered and included a bar where drinks (alcoholic and non-alcoholic) could be purchased. Once we were ready to partake in our journey through the infamous Realm of Terror, we were led to a door, which led to a long and dark hallway with black walls and gravel floors. Be sure to watch your step through this part of your visit, as the ground is uneven and unlit. Once we made it through the long and somewhat treacherous walkway, we were loaded into room that resembled a clean, professional lobby for a laboratory. A large television screen began playing a welcome video to the guests of the facility, wherein new experiments on people were being presented and described by the hostess in the video. All of the sudden, it was made very clear that something had gone terribly wrong and that the facility was overrun with experiment subjects gone awry. We were told that we needed to evacuate the elevator that we were on and exit onto the floor that no one uses anymore to attempt to avoid the chaos. We exited the elevator and found a staircase, except the middle of the staircase had broken through and we needed to walk through the opening. Brilliant. This began our trek through scenes of cannibalism, torture and human pain. As we weaved in and out of very tight spaces in very claustrophobic rooms, I noticed that every room was completely covered in gore, blood and all the beautiful details that differentiated Realm of Terror from any other attraction I had ever seen. The actors were right up in our personal space and they did not let up. Their make-up was spectacular and their costumes fit right in with the theme. The attraction then went on into a couple different features that included a spinning tunnel, a violently thrashing floor and mazes that served as the finale. The transition from the beginning of the haunt; being calm and welcoming, through the madness of the laboratory gone awry, all the way to the intense finale; which was a serious blow to the senses, was all very well executed. Once again, I was overall impressed with the "Horror Experience" within and outside the walls of Realm of Terror. The show began as soon as we arrived and it did not let up until we were in the car on the way out. The elaborate scenes and fierce acting performances combined with the tiny, claustrophobic spaces makes for an experience that cannot be found anywhere else. 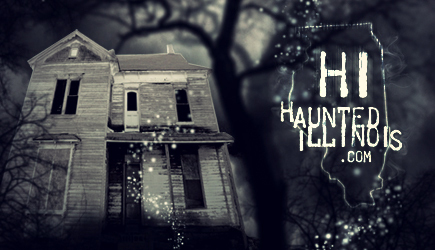 The overall experience is one that I would definitely recommend for a haunted house enthusiast looking for the most extreme haunted house in Illinois.